Google whit a tie up with Acer have launched there new Notebook., Whose name is "acre c-7 Chrome book ". 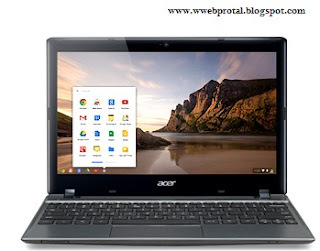 The main interesting things of this chrome book is that it is cheaper then the previous Chrome book This have been made keeping in the mind of those people who doesn't wants license and virus etc. Weight of this Chrome book is just 1 Kg and whose price is $199 i.e INR 11,000 only, which is lesser then the previously launched Chrome book by $50. When this device is going to be launched in India for this there is nothing said my the company. Acer chrome book is some how heavy then Samsung Chrome Book. Samsung Chrome book has start up time of 10 seconds where as Acer Chrome book start up time is 17 seconds. Storage in Samsung Chrome book is just 16 GB where as in Acer chrome book, it is 320 GB storage is there. The difference in storage capacity of them is the main reason for the difference in their Start up timing. There is hard disk of 320 GB with a 2 GB RAM. Display of this device is 11.6 inch. With this here is a facility of SB 3 and HDMI ports also. There is 100 GB cloud storage also with this Chrome book. If your Chrome book will get lost or get physical damage then user can back up all the data from cloud storage also. 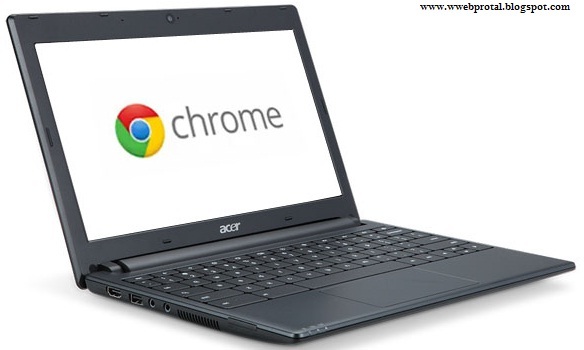 There is inbuilt security features developed in Chrome book, which protects the Chrome book form malicious and virus attack.